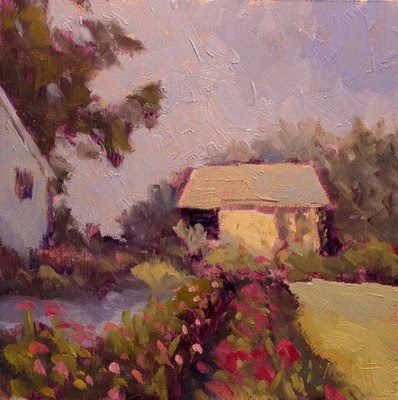 This amazing garden is at the home of a nice amish family that allowed myself and two artist friends to paint recently. The same location that I painted the apple orchard and posted on 9/24. This painting is 6"x6" oil on primed masonite board. Rich, lively, great design--nice work, Heidi. Thank you Don, I appreciate you stopping by with the kind words.